The Radio Control ATV is a great introduction to the big kids world of remote control cars for your child as young as 2 years old. 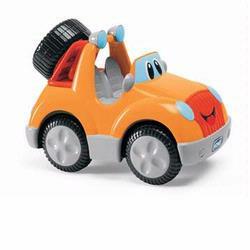 This brightly colored, smiling car comes with a remote control that attaches to the car and becomes the spare tire. 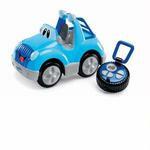 The remote control comes with large buttons for little hands and controls the car in four directions. The Radio Control ATV will also improve your child's coordination skills and will encourage creativity.Award Winning Toy!